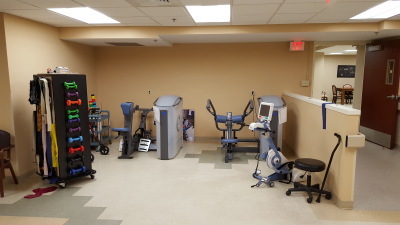 DaySpring is one of five state-certified traumatic brain injury programs providing post-acute neuro-rehabilitation to adults that have experienced a brain injury. With the goal of helping each patient return to their place of residence in the community, the multi-disciplinary team will develop a treatment plan with the individual and their family. This plan will be the guide in improving the functional abilities of the patient. DaySpring is an 18 bed specialty rehabilitation program, located in Milwaukee, accepting various payment methods including: Medicaid, Medicare, private insurance, private pay and some HMO's. Brain injury rehabilitation is an intensive therapy program. 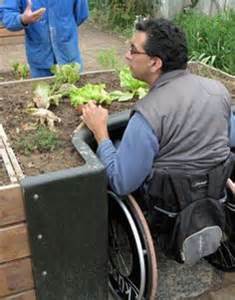 Therapy services include: physical, occupational, speech and recreation. A person in the brain injury rehabilitation center will receive therapy services 4-5 hours per day. Full therapy staffing is available Monday through Friday, with partial staffing on Saturdays and Sundays. Activities programming including art and music therapy is provided 7 days per week. 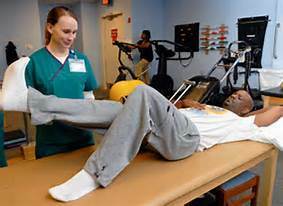 The Physical Therapy team focuses on functional mobility. Individuals with a brain injury are often unable to move all or parts of their bodies. A physical therapist will work closely with the individual to improve movement or develop and teach alternative methods of moving, while helping them to gain strength and balance. An Occupational Therapist will address an individual's life skills including activities of daily living that encompass self-care, cooking, home management, shopping, transportation and socialization. Individuals will relearn how to do these activities or learn new ways of accomplishing them. A Speech-language Pathologist will work one-on-one with patients to regain functional communication. They will also provide therapy that improves swallowing and methods for communicating if an individual has a hearing impairment or cognitive challenge. 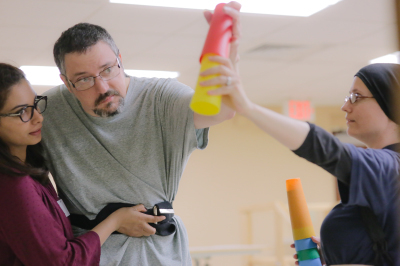 The Recreation Therapy staff will provide treatment, education and recreation services to help patients develop and use their leisure in ways that enhance their health, functional abilities, independence, and quality of life. Patients will participate in leisure activities in a community setting on a weekly basis, where their money management skills, social interactions, cognitive functioning, initiation and functional ability to travel safely in the community can be assessed. If an individual meets the admission criteria and has an approved payor source the admission process is fairly seamless. If you are a referring agency and would like to take a tour of DaySpring or meet with the members of the interdisciplinary treatment team, please contact us. 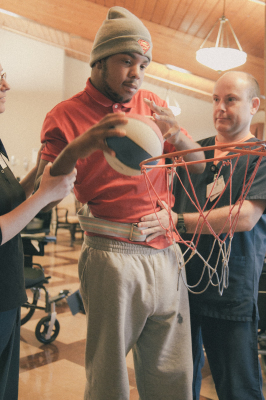 If you are a family member or guardian of an individual with a traumatic brain injury and are considering options for post-acute treatment, please contact us to learn more about the rehabilitation program at DaySpring and to make an appointment for a tour. If you are a survivor of a brain injury, a family member, guardian or firend and would like to join other survivors to learn about brain injury recovery, new research and valuable resources available in the community, please join us on the first Monday of the month from 6:00-7:30pm on the DaySpring Braini Injury Unit which is located on 9350 W. Fond Du Lac Avenue, Milwaukee, WI. The BIAW is a non-profit organization that brings together people with brain injuries, their families, friends and concerned professionals. The mission of BIAW is the prevention of brain injury and the full participation in life for individuals with brain injury. They provide education, prevention, information & resources, and support services to brain injury survivors, their families, and people who serve them throughout the State. Go to the BIAW website.